. : BENNY, MY AMERICAN DREAM CAME TRUE! BENNY, MY AMERICAN DREAM CAME TRUE! 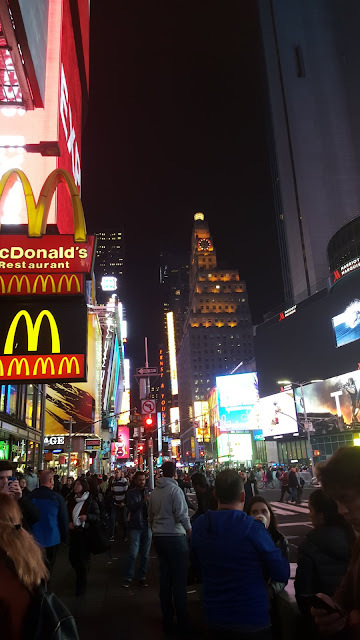 Going to the USA has always been one of my dreams and it was so exciting for me when it became true. 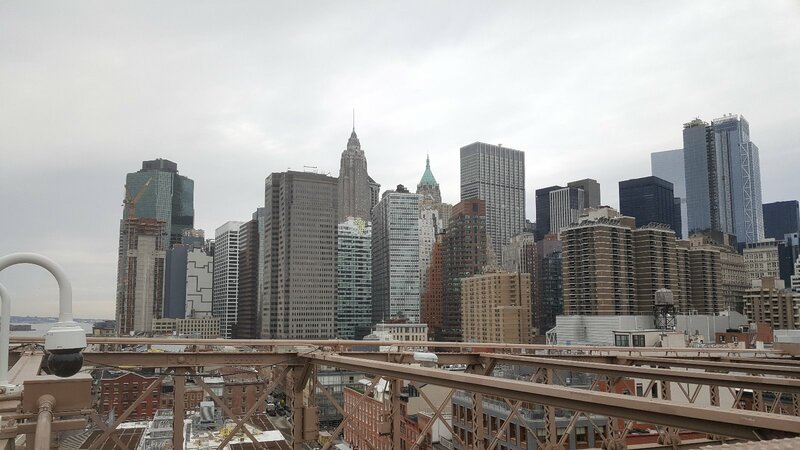 I was in New York City for a week from the 20th to the 28th of February. It was such an amazing experience because I didn’t go there just as a tourist but wearing the dresses of a UN delegate! If you want to know more about my journey, continue reading this post! 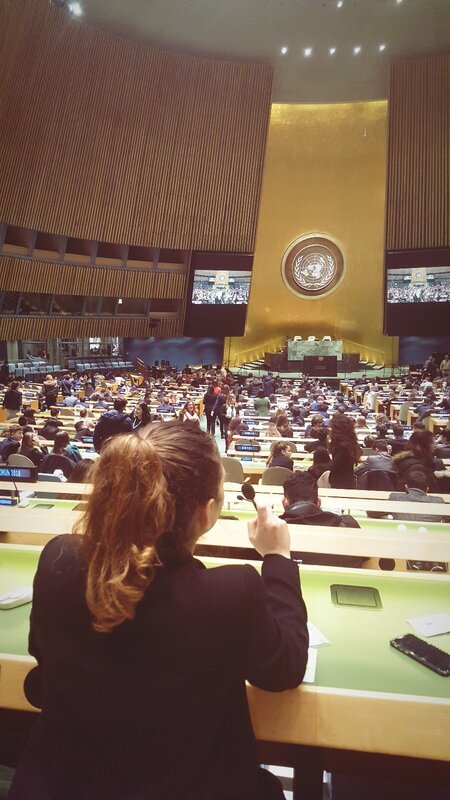 As I said, I went to NYC and I was one of the young delegates that took part in the United Nations conferences. Of course, it was just a simulation, but it was organized as real UN conferences. There were people from Italy, USA, France and other countries. During these simulations you have to speak in English in order to talk and debate with the other delegates, you have to wear a formal dress and you feel like a real delegate. Each one represents a nation and has to show the position of his/her own country. 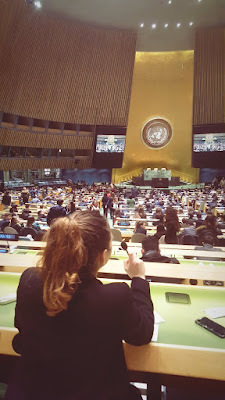 During the conference I met a lot of people and we were inside the UN headquarters. As you know - well, I hope you know - the United Nations is an international organization that was born in 1945, after the 2ndWorld War, which has the aim of maintaining peace, protecting natural and historical places and buildings, guaranteeing that all the people have the same rights, guarantee security and so on. In my opinion this is one of the best “things” men have created. I am very interested in what the UN did and does to help people. Of course, its goals are huge and difficult to achieve. There is also something that doesn’t work properly, even in the UN, or there are things the UN could do but don’t, but I can assure you that the UN have done and currently do a lot to achieve its aims, despite some hurdles. … and many others! Wow! I was the delegate of Suriname, a nation set in South America in SOCHUM committee. Each committee had to discuss about a specific topic and our topic was the Economic development through the Education of Young Women. I am very interested in this topic so I was very excited to discuss about it. Obviously, it was difficult to talk with American of French guys, but there were some very good Italian guys who did it successfully. I tried to do my best, too and I am proud of what I did, especially because I helped write some parts of our resolution. The resolution was a document that each group had to write and it had to contain all the ideas and solutions we proposed to face the problem described. After this brief description of my experience as a delegate, let me say something about my experience as a tourist! During that week I visited a lot of important and popular places in New York City as the Statue of Liberty, the Brooklyn Bridge, the Empire State Building, some important museums, Central Park, Wall Street, Times Square and other places. 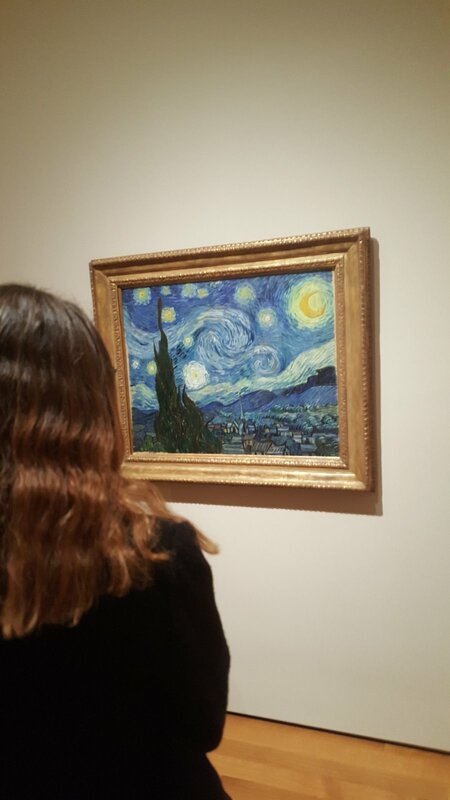 I visited a lot of places but some will remain in my heart forever: Times Square, Ground Zero, two museums, the MOMA and the MET, because there I saw some paintings by my favourite artists which I really wanted to see one day, for example the Starry Night by Vincent Van Gogh! … and works by Picasso and Monet. Being in Times Square was so exciting: it was like being in a movie set in New York. 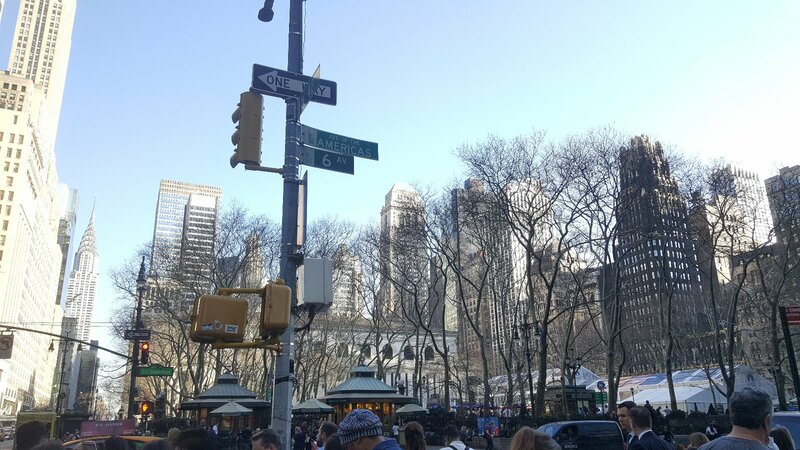 All those lights everywhere… in Times Square is always morning!! Ground Zero is a memorial dedicated to the victims of the Twin Towers attack happened on the 11th September 2001. 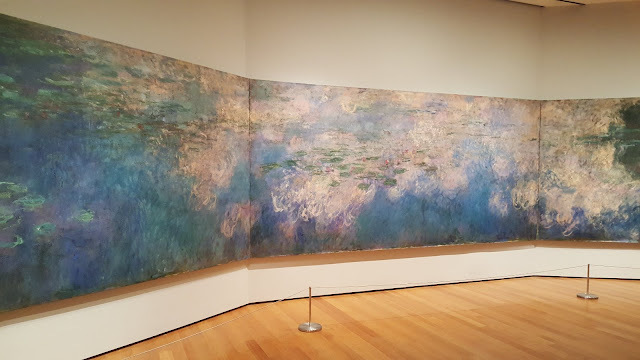 It was so moving to be there! NYC is very chaotic and noisy, but around Ground Zero there is a thunderous silence, because people go there to pray, to remember and, often, to cry. It consists in two large and deep fountains that want to represent the collapse of the towers and the fear that the people who were inside felt on that tragic morning. 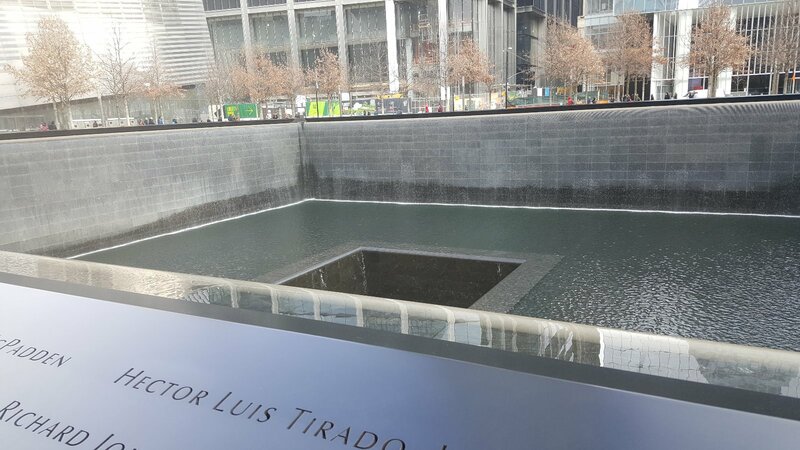 All the names of the victims are written on these two fountains. 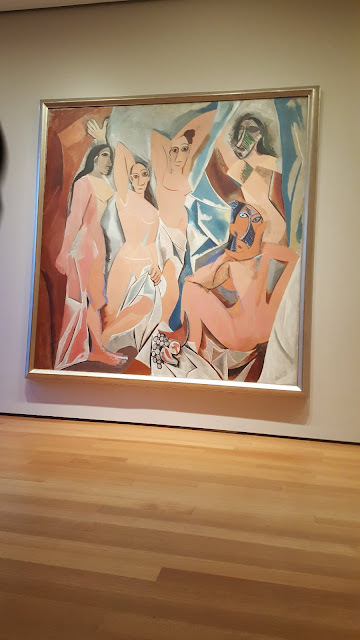 Recently a museum has been opened near Ground Zero, and if you go to NYC, I suggest you to visit it because it will be a moving and intense experience. Unforgettable! I’d like to tell you so much more but it’s time to go. 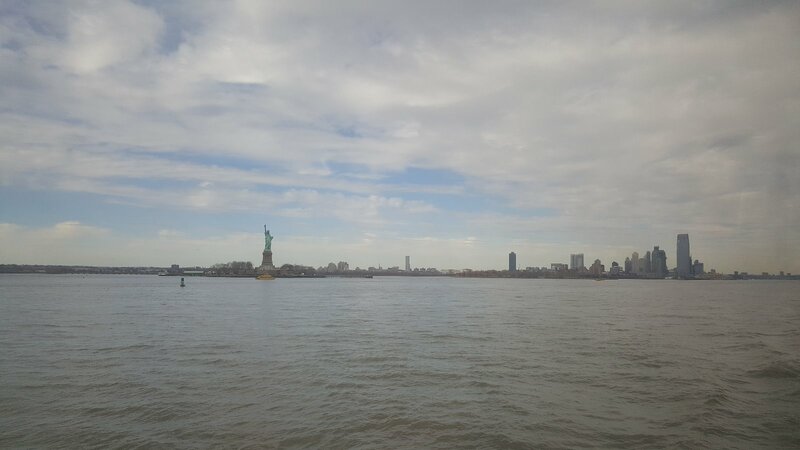 I really hope you’ll manage to visit NYC as soon as possible to live YOUR own American Dream!